After recovering from Tales of the Cocktail, we’re back this week to talk about using flower waters in cocktails. 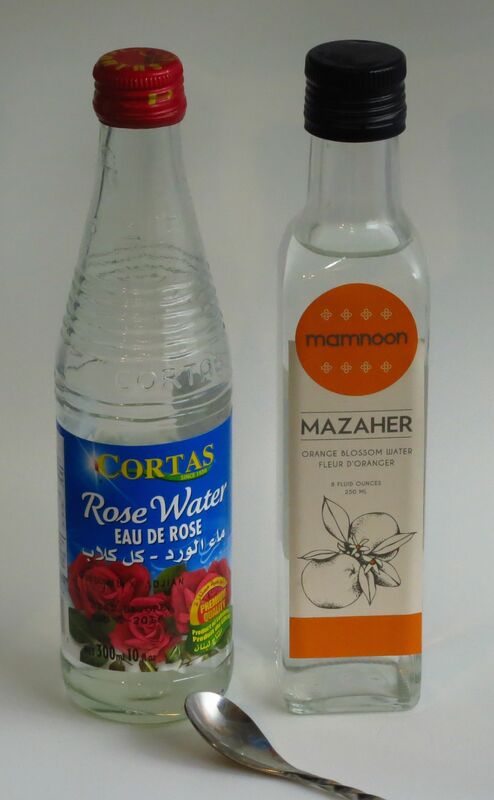 The two most common flower waters are rose water and orange blossom water. To be honest, we don’t know that we’ve seen any others, though we’re thinking of making violet and/or lavender water, because why not. In any case, if you’re unfamiliar with these ingredients, they’re both incredibly strong floral potions and must be used sparingly so as not to overwhelm other ingredients. Since they must be used in such small amounts,we were very curious to quantify exactly what effect they had in a drink, so we decided to try a couple of drinks that call for them, and try them both with and without the flower water. If you’ve ever wondered about using flower waters as a cocktail ingredient, read on. For our first candidate cocktail, Christa remembered that the Avenue cocktail, from Ted Haigh’s excellent book Vintage Spirits and Forgotten Cocktails, called for a dash of orange blossom water. The Avenue is one of the cocktails in the book that it took us a while to try, largely because it took us quite some time to find a source for real passionfruit juice, and by the time we’d found it, we’d forgotten about this cocktail (well, Shaun had forgotten, anyway ;)). One thing you will note is that it calls for a dash of both grenadine and orange flower water. But how much is a dash? Using a very unscientific method of using a half full bitters bottle and dashing it into a bar spoon, we determined that a dash was exactly, like to within several degrees of precision actually, a generous 1/2 bar spoon. OK, so not really that accurate, but close enough that we thought “good enough”. Shake all ingredients with ice. Strain into a glass. Cheers! Nose: Maple, sweet oak, passion fruit, and several layers of apple – fruit, skin, wood. Palate: Strong, slightly dry apple to start. Notes of apple skin and pith as well. Passionfruit with oak and maple from the bourbon on the mid-palate, apple underpinnings remain. Grenadine on the transition from the mid-palate to the finish. Finish is fairly dry and clean with a bit of a bourbon bite. Finish is quite short and doesn’t linger. Nose: Strong orange blossom. Apple and passionfruit still though muted. More vanilla vs. maple from the bourbon. Palate: Apple and orange blossom with an herbaceous citrus leaf bite to start. Passion fruit with more grenadine and less bourbon on the mid-palate. Floral, slightly bitter finish that lingers longer. Palate coating floral notes in the after taste. Tasting them side by side, they’re both quite nice. Without the orange blossom water the cocktail is a bit lighter and fresher but a bit one note. 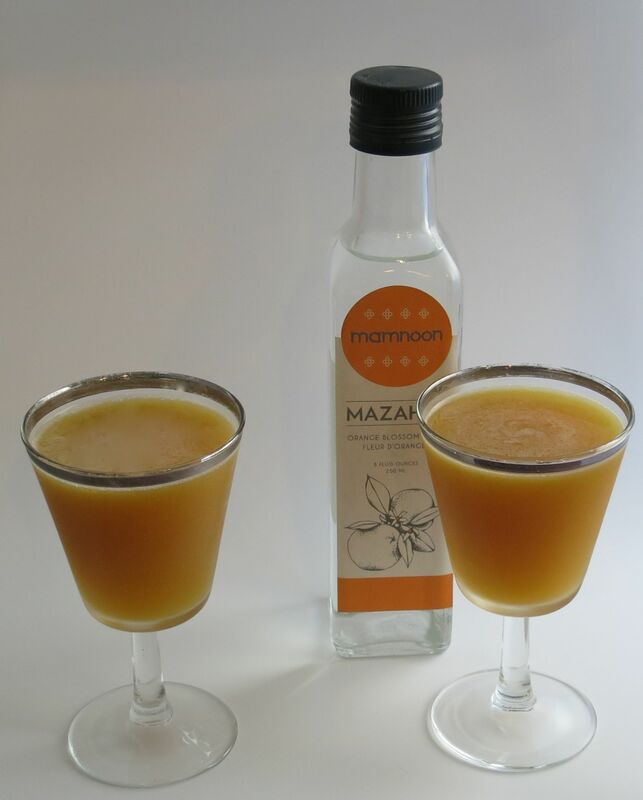 With the orange blossom water,it gains some nice complexity and bitterness as well as pulling out more of the sweet-tart grenadine flavors. For our second cocktail, we went with the Ash of Roses. This is one of ours that we came up with a while ago. We’re pretty sure we were trying to come up with cocktails that used watermelon juice but then we were drinking at the time so we don’t quite remember. 🙂 In this case we’re using rose water to add the floral notes. Nose: Watermelon sweetness and rind, mild malty notes from the vodka. Little bit of lime, both peel and juice. Creamy, grainy smell like rice pudding. Palate: Lime and watermelon to start. Malty, creamy notes on the mid-palate, underpinned by lime tartness throughout. Finish is faintly astringent, like limeade, with an underpinning of watermelon rind. Very refreshing. Nose: Rice pudding and malty notes are much fainter, watermelon and roses are very forward. Lime is about the same. Palate: Rose and perfumey lime to start. Malty creamy notes are still on the mid-palate but with rose, strong watermelon, and more lime tartness. Finish is really strong rose, without being cloying, along with slightly vegetal watermelon rind, reminiscent of cucumber. Again, both drinks are quite nice tasted side by side. Without the rose water, the drink is very light and refreshing, and you can easily imagine serving gallons of it at a picnic. What, everyone drinks gallons of cocktails at a picnic, right? But again, the addition of the rose water adds depth and complexity as well as tying all of the flavors together in an unexpected way. Not too surprisingly, the flower waters add a lot to each cocktail. What’s surprising to us is that they add more than just a floral component, and they make the cocktail more than the sum of the parts, which is a fantastic thing. In our minds, this is what makes a cocktail really lovely the drink. So go out, acquire a flower water, and make a cocktail with it. There are actually quite a number of classic drinks that call for them, if you don’t want to make something up. If you do though, go sparingly, a little really does go a long way. 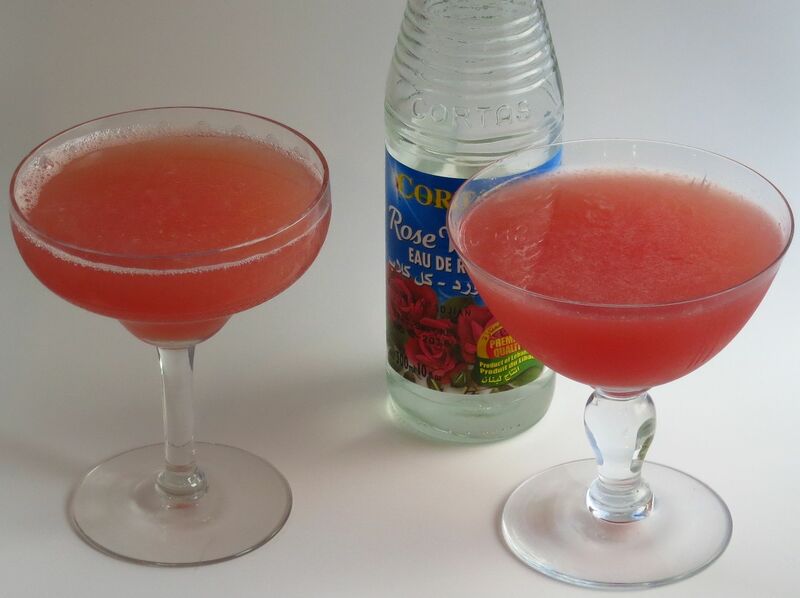 This entry was posted in bourbon, calvados, grenadine, lime juice, orange flower water, passionfruit puree, rose flower water, simple syrup, vodka, watermelon and tagged ash of roses cocktail recipe, the avenue cocktail recipe. Bookmark the permalink.